They made sure to go through mainly Christian districts of the city, where residents, fearing attacks, shuttered down their stores and stayed in their homes, witnesses said. The day of the voting itself on Saturday, Christian voting was minimal — as low as seven percent in some areas, according to church officials. Some of those who did try to head to polling stations in some villages were pelted by stones, forcing them to turn back without casting ballots, Christian activists and residents told The Associated Press this week. Assiut province is significant because it is home to one of Egypt’s largest Christian communities — they make up about 35 percent of the population of 4.5 million, perhaps three times the nationwide percentage. 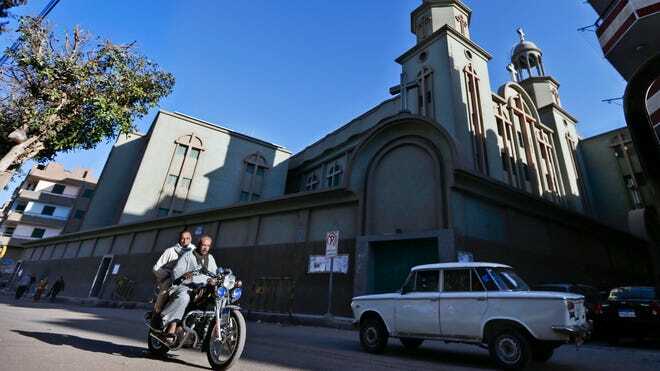 At the same time, it is a major stronghold of Egypt’s Islamists, who now dominate its local government. The province was the birthplace of some of the country’s most radical Islamist groups and was the main battlefield of an insurgency by Muslim militants in the 1990s. It was one of 10 provinces that voted in the first round of Egypt’s referendum. Nationwide, around 56 percent voted in favor of the draft charter, according to preliminary results. Assiut had one of the strongest “yes” votes at more than 77 percent. It also had a turnout of only 28 percent — one of the lowest in a round marred by a low participation of only 32 percent nationwide. The second and final round will held the coming Saturday in 17 provinces, including in Minya, which has the country’s highest proportion of Christians, at 36 percent. Rights groups reported attempts at suppression of the “no” vote in many parts of the country. But Christians say intimidation and suppression are more effective in this smaller, largely rural province.